Street photographer Alex Coghe arrived from Rome, Italy --stayed and eventually married a Mexican-- about nine years ago. We met sometime before via Flickr and became acquainted with each other's work. This image was made in April of this year during one of several photo walks we've had on several occasions this year --just got back from another meet this Saturday. 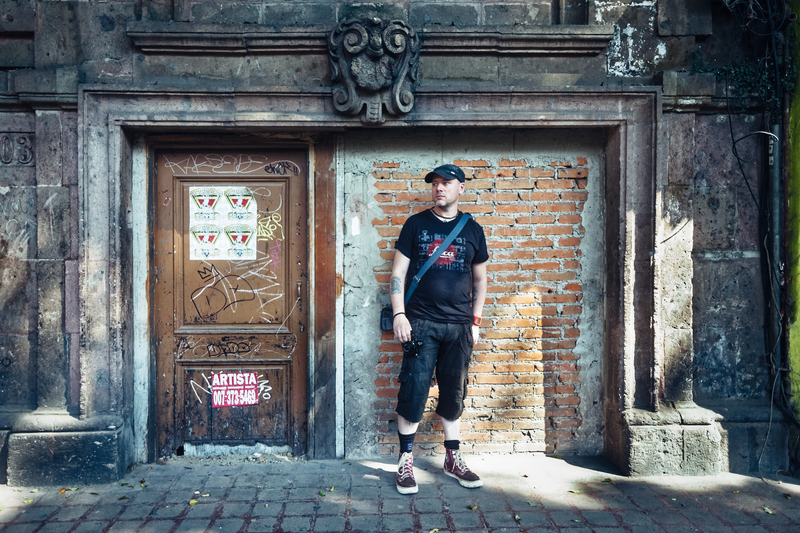 It's always a pleasure to touch base and explore the streets of Mexico City updating each other on our adventurous experiences as both photographers and foreigners in Mexico City.